October 10, 2014 by David Shields. Average Reading Time: about 3 minutes. Ebenezer Russell Webb was born October 10, 1811 in Onondaga, New York—just south of Syracuse—to Judson Webb & Jerusha Truesdell. 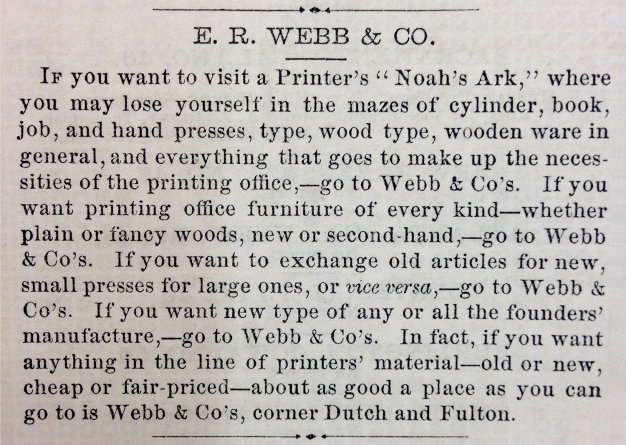 The Printer, September, 1862, v4 n6, p 87. E.R. Webb married Charlotte Castle (c1812—1899) on May 23, 1832 in Syracuse, New York. The couple had one child, a daughter, Mary E. Webb [Bunker] (c1833–1912). The family lived at 247 Bridge Street in Brooklyn for nearly twenty years starting in 1843. 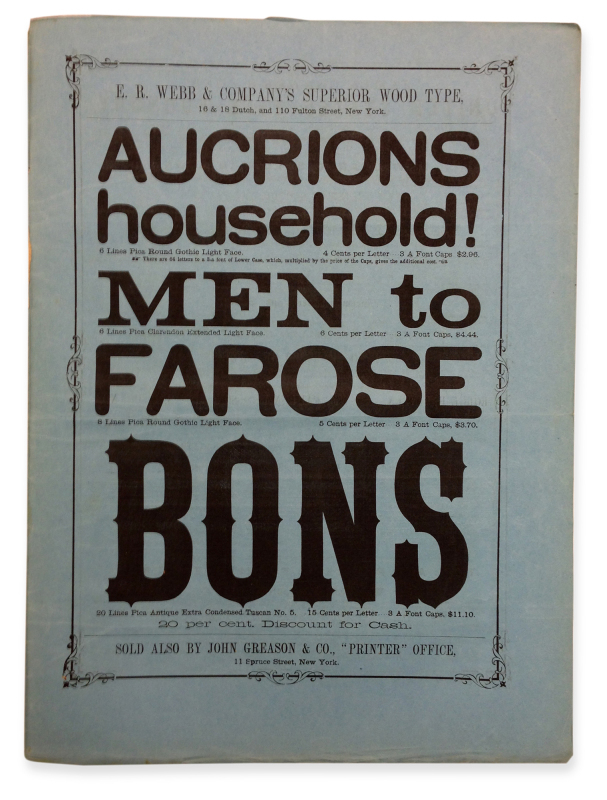 The Printer, August, 1862, v4 n5, back cover. 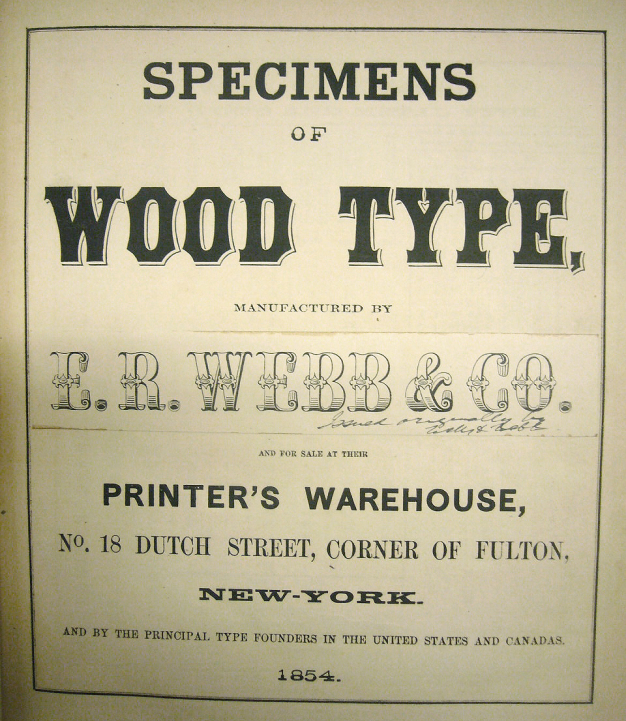 ER Webb & Co, Specimens of Wood Type, 1854.